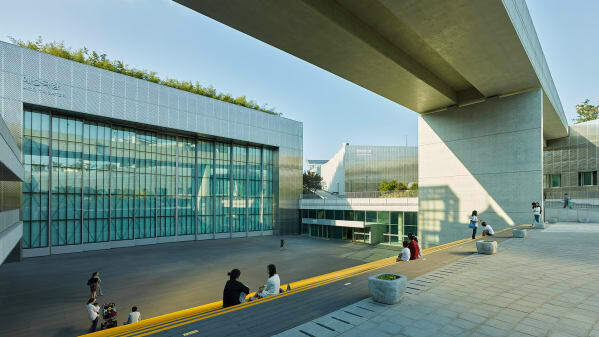 The Forest of Light is the new Asia Culture Center, a central project in South Korea's national economic plan to create a new identity for the city of Gwangju. A hybrid space for research, culture, and education, the center seamlessly blends together exhibition spaces, libraries, performance halls, and a children's museum, as well as a football-sized lawn, a Zelkova-filled tree park, fragrant gardens, and colorful playgrounds on the outside. Designed by Kyu Sung Woo Architects, the Forest Of Light serves as not just as a pioneering cultural facility and a large public park, but as a memorial to the hundreds of victims of the Gwangju Uprising, one of South Korea's worst humanitarian disasters.